The Orissa state government has drawn up a plan to build five Green field airports in the state to boost intra-state and interstate trade and tourist air traffic. 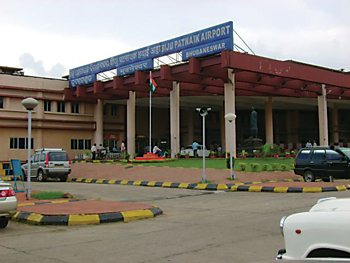 The state has just one airport at present – the Biju Patnaik Airport in Bhubaneswar, besides 17 airstrips and 16 helipads. The five airports are being planned at the industrial hubs of Rayagada, Paradip, Dhamara, Angul and Kalinganagar. The plan, which is being implemented by the Industrial Investment Promotion Corporation of Orissa Limited (IPICOL) and the Civil Aviation Department, includes a proposal to upgrade the facilities at the existing airfields of Jharsuguda, Rourkela, Gopalpur and Barbil. The Jharsuguda airfield will be the first to be renovated to make it fit for the landing of small 15-30 seater ATR aircrafts. In the second phase, it will be upgraded to the status of a full-fledged airport. The Airports Authority of India (AAI) will invest about र80cr for the first phase of the Jharsuguda airport, and more for its second phase depending on the air traffic in the first phase. By executing the plan, the state government hopes to increase domestic and international air connectivity and in the process, set up aviation training institutes, cargo hubs and airline bases at various locations throughout the state. The new airports will have, among other things, facilities such as night landing. Some of the cities identified for establishing connectivity include Raipur, Patna, Bhopal and Ranchi. About 190 acres of land has been identified for the project till now. Next: New pollution control system for Uttar Pradesh!